About ten years ago I joined NICHE, the Neuroimaging in Childhood Lab of Prof. Sarah Durston, as an intern. My first project was a study in which we manually segmented the basal ganglia in about 100 children. It meant colouring brain scans millimeter by millimeter for a few months, but nevertheless I got hooked on neuroscience. 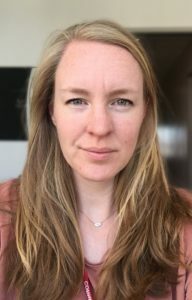 As a research assistant and later as a PhD student I worked on different projects that ranged from investigating the effects of omega-3 fatty acids on cognitive control in children with ADHD to characterizing structural and functional connectivity in children with autism or ADHD using neuroimaging methods such as DTI and resting-state fMRI. After I defended my thesis, I had the opportunity to stay with NICHE and join the Consortium on Individual Development as a post-doc. I wanted to shift my focus from the intrinsic anatomy and functioning of the brain to the (a)typical development of behavioural control and its neural correlates. However, even though I still felt Utrecht was the right place for me, I was also aware that I needed a change of scientific scenery for a while. During the first year of my post-doc, made possible by CID, I spent six months as a visiting fellow at the Sackler Institute for Developmental Psychobiology in New York. Six months turned into almost three years, where I travelled back and forth between Utrecht and New York to work on different projects related to behavioural control and emotion regulation in children with and without developmental disorders. Now that I am back in Utrecht full-time, I am really looking forward to contribute to CID as an Assistant Professor. I am currently setting up projects related to the development of individual differences in behavioural control. Keeping in touch with my background in psychiatry, I am particularly interested in identifying individual patterns of strengths and weaknesses in behavioural control and the environmental factors and child characteristics that influence this development. The CID cohort provides a unique opportunity to investigate this, so exciting times are ahead!